That special time of year has arrived — the air is crisp, night is creeping in ever earlier and finally it is socially acceptable to drink beer from a boot. As Oktoberfest kicks off in Munich, San Francisco is following suit with a traditional brew and brat fest at Pier 48. 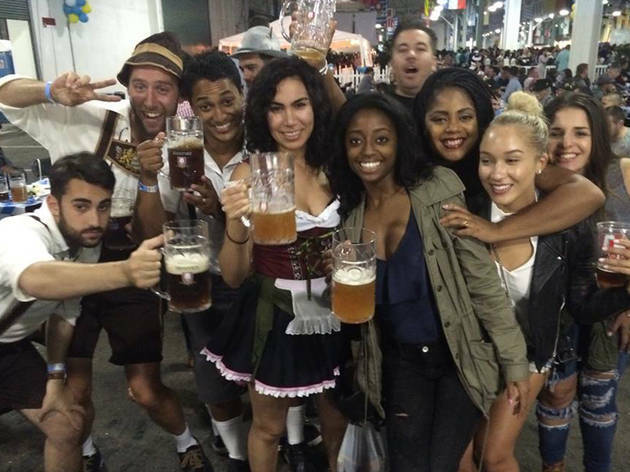 Choose any of three days to celebrate with live oompah bands, Bavarian dancing and plenty of dirndl and lederhosen-clad partiers. Note that there are two separate sessions Saturday, with family-friendly events set aside on Sunday.